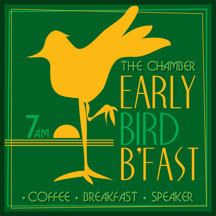 Join us for the first Early Bird Breakfast of 2019 featuring Coleman Foss, Senior Vice President with WellStar and President of WellStar West Georgia Medical Center. The February issue of Troup Trends will also be distributed. Coleman will discuss the state of healthcare in our community and his leadership role with the hospital. Coleman has an impressive history in healthcare, serving nearly 25 years in executive roles, achieving high-impact results for the companies he has represented. He joins WellStar from Tennova Healthcare in Cleveland, Tennessee, where he served as Chief Executive Officer for 11 years. Before that, he served as Chief Executive Officer of Dyersburg Regional Medical Center, Methodist Healthcare, Volunteer General Hospital, and Fort Walton Beach Medical Center. Coleman’s background is rooted in healthcare as he holds a bachelor’s in health administration from Auburn University and a master’s degree in health administration from the University of Alabama at Birmingham. Please join the February Gold Sponsor and Registration Sponsor, GO Realty, for coffee and networking in the McLellan Parlor prior to the breakfast. Breakfast will be provided by C’sons/Mare Sol. To register, please click on the Register Now button above. To guarantee your seat please submit by February 7.